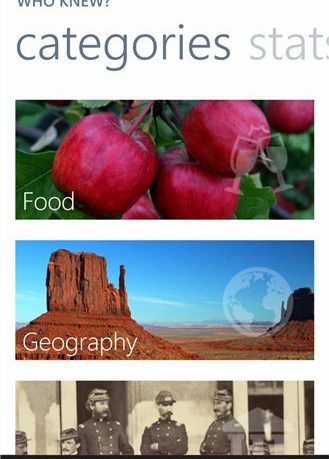 Who knew is an exciting little app that helps you learn new facts about food, pop culture, geography, history and science and also tests your knowledge about each subject. The layout of this game is simple. When you have chosen a category a fact is displayed and all you have to do is say whether it is fact or fiction. If you press the correct answer is will automatically go on to the next question. If you are incorrect it will display an explanation of the correct answer. There is also a time in the top right hand corner and if you get an incorrect answer you will lose 5 seconds. After the time has run out your results are then displayed. In the background there is a beautiful music track that has been made originally for this game. In the settings you can change the volume. There are over 625 different questions, so there is enough to keep you entertained for a while. Who Knew? is a different kind of trivia game, one based on learning new and exciting facts – rather than parroting common sense knowledge in exchange for the highest score possible. Enjoy our beautifully clutter-free visual experience and an originally recorded soundtrack as you test your knowledge against 625 questions designed to make you stop and say “hmmmmm”. I think that it’s a bit different from other trivia games as you can learn new facts that you might not have known before and it’s a lovely simple app, that I really enjoyed playing. It has just been updated with 125 new questions so I’m sure they will keep this app regularly updated with new and exciting questions. Overall, I really liked ‘Who Knew’. 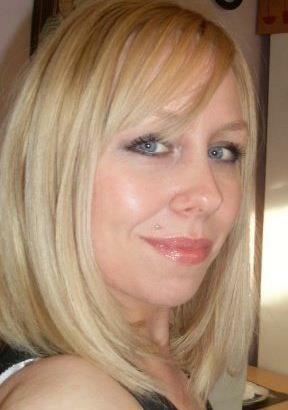 It is very simple, but the questions are decent, and the app is easy to use, and is well priced. 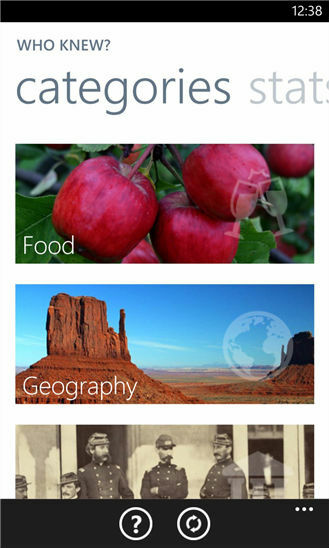 If you want a trivia app for your Windows Phone, then look no further than Who Knew?